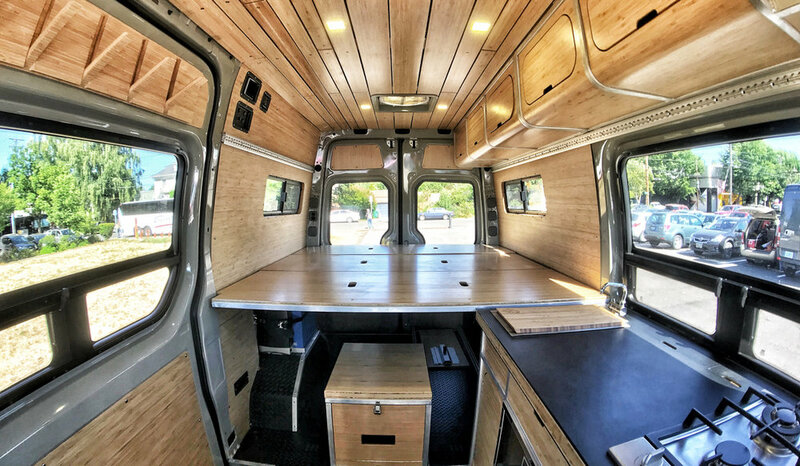 ZENVANZ is the premier designer and builder of adventure van components, offering only the highest quality craftsmanship so you can explore with confidence. Whether your chosen adventure is a long weekend outdoors or a multi-year overland expedition, ZENVANZ will take you there in comfort. Imagine a lifestyle spent outdoors and experiencing nature, filled with travel and adventure, without giving up the comforts of home. 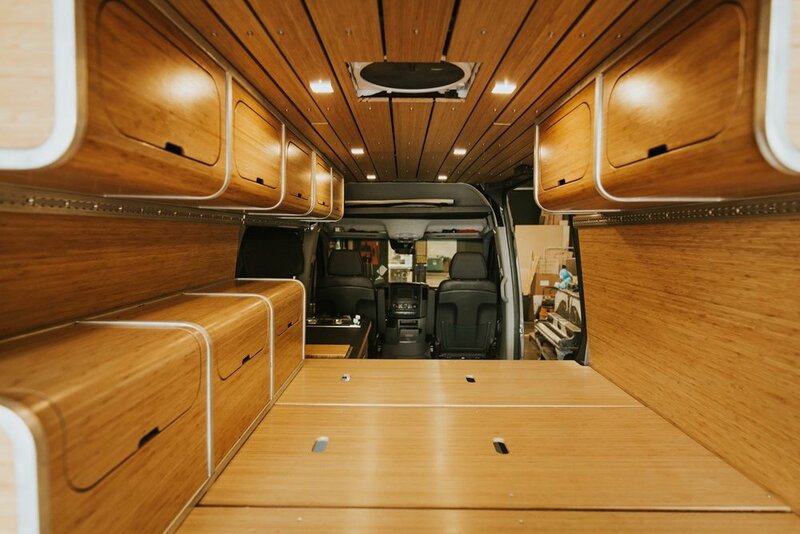 That’s what inspires ZENVANZ, and that's why we offer a modular cabinet kit for the DIY van builder so everyone can have an elegant yet rugged interior that looks just like our complete builds.. The ZENVANZ team combines the skills of an award-winning small space architectural and interior designer plus a licensed General Contractor bringing 25+ years of experience. ZENVANZ offers a technical expertise and design aesthetic that is unrivaled in the industry. 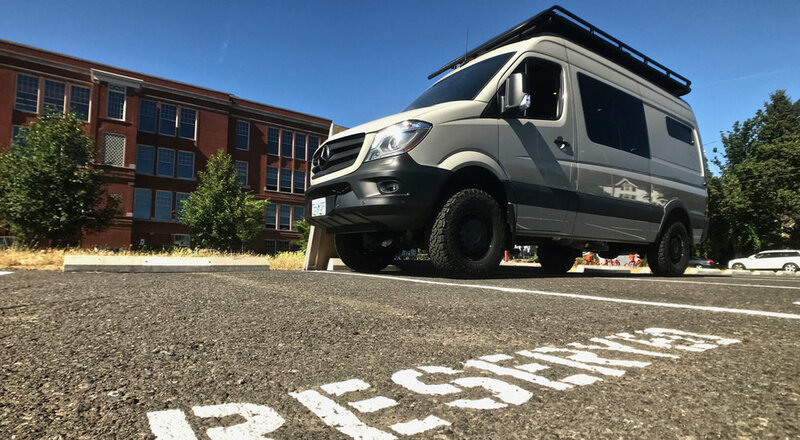 This unique collaboration allows ZENVANZ to envision, design, and build your perfect overland adventurevan. The architectural elegance of our design is focused on maximized livability using minimal space. ZENVANZ streamlined curves promote comfortable and beautiful small-space living. We are confident in where your ZENVANZ will take you, and also in the comfort you’ll experience along the journey. We use only the finest materials and best methods to ensure your campervan components will withstand the tests of vanlife. 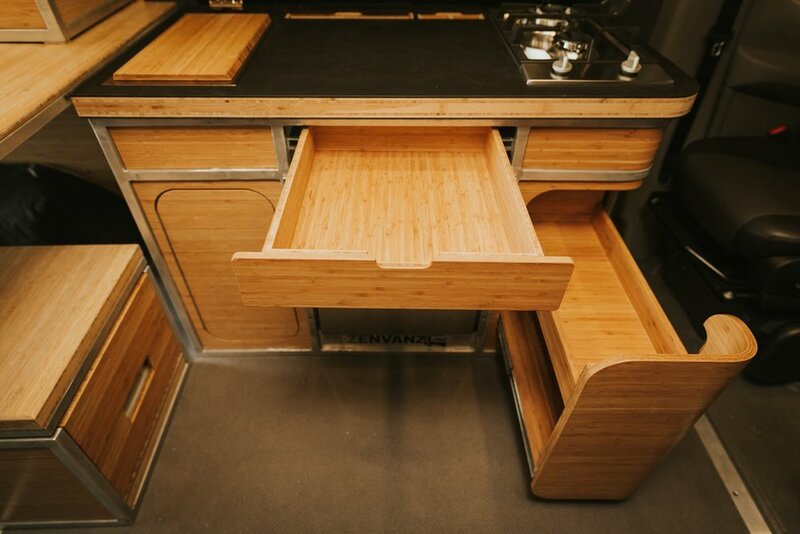 ZENVANZ cabinets are built with a rugged yet lightweight aluminum exoskeleton and eco-friendly bamboo that is both durable and beautiful. 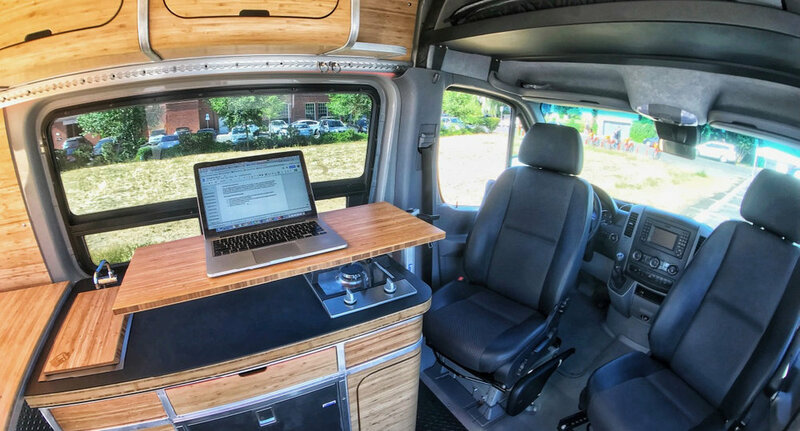 You won't find veneers, laminates, or particle board in the rugged ZENVANZ campervan interior. All of our components are bespoke, marine grade, maker-quality, and our systems are top of the line for any overland adventure you undertake. We design and construct our interior components for ultimate flexibility. 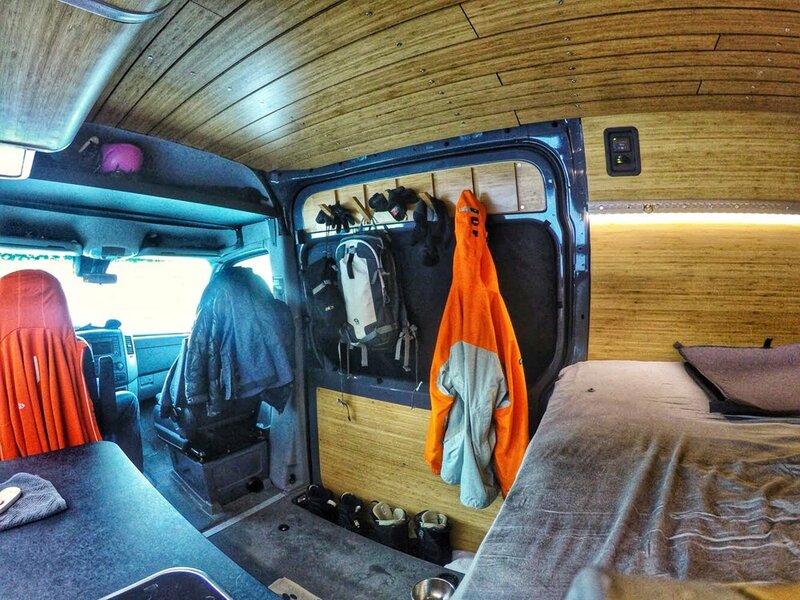 Each ZENVANZ campervan interior component can be removed with only a few bolts to convert back to a work van during the week, or to reconfigure the layout as needed. We believe your van should be able to change as your needs or lifestyle change. Imagine trying to modify or add additional wiring in most campervan conversions... The entire build would have to be ripped apart simply to access existing wires. 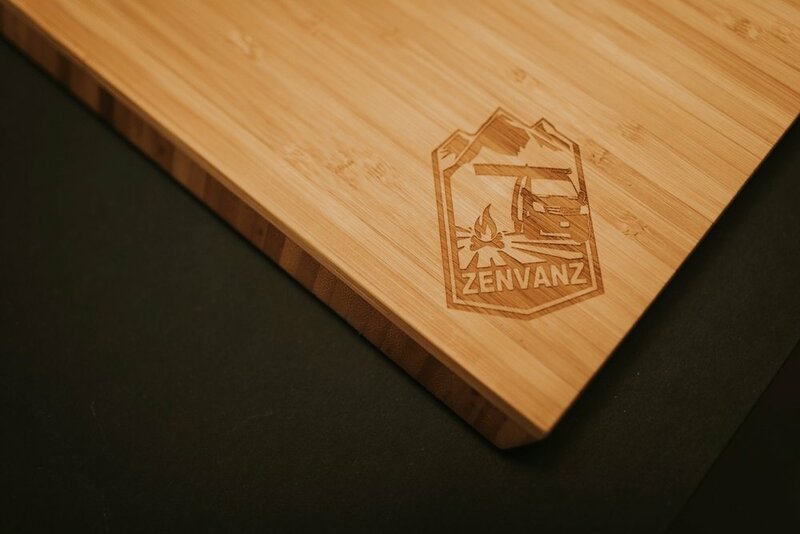 Everything in ZENVANZ is assembled with flexibility, modularity, and longevity in mind. We use bolts instead of screws and utilize almost entirely factory holes rather than turning the walls of your van into swiss cheese. ZENVANZ doesn’t just supply campervan conversions for our clients. 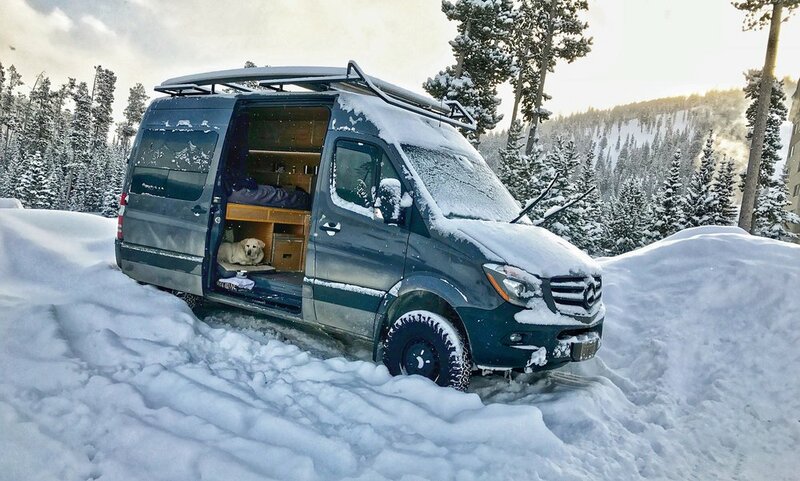 We live the vanlife. Not part-time or on weekends. But full-time since 2012. 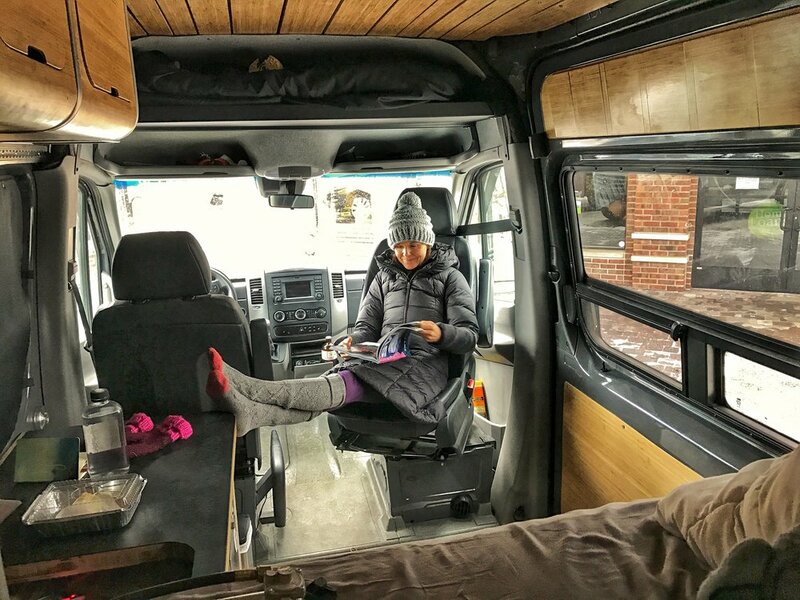 We've used those years to design, build, live in, test, and refine our adventurevan and have adapted and reconfigured ZENVANZ designs countless times to adapt to the realities of the authentic vanlife. We have been asked to build campervan conversions since day one of our journey, but waited until now to bring ZENVANZ to you. 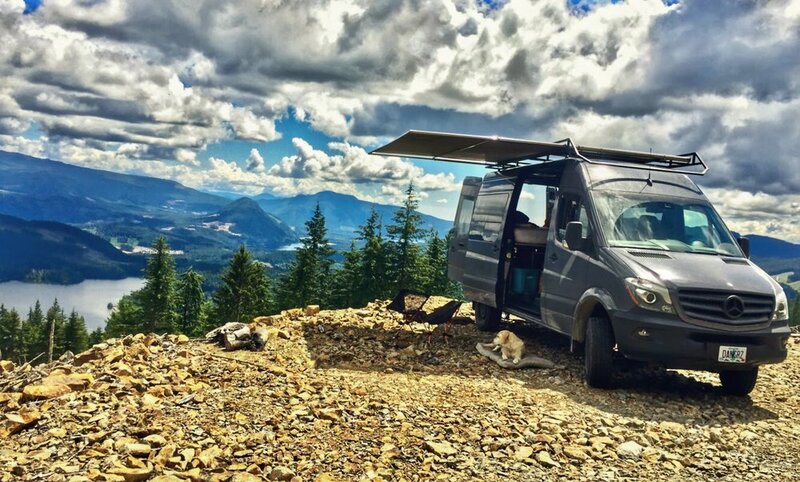 With our extensive vanlife experience and team expertise, we stand behind our product and are proud to bring you: ZENVANZ. 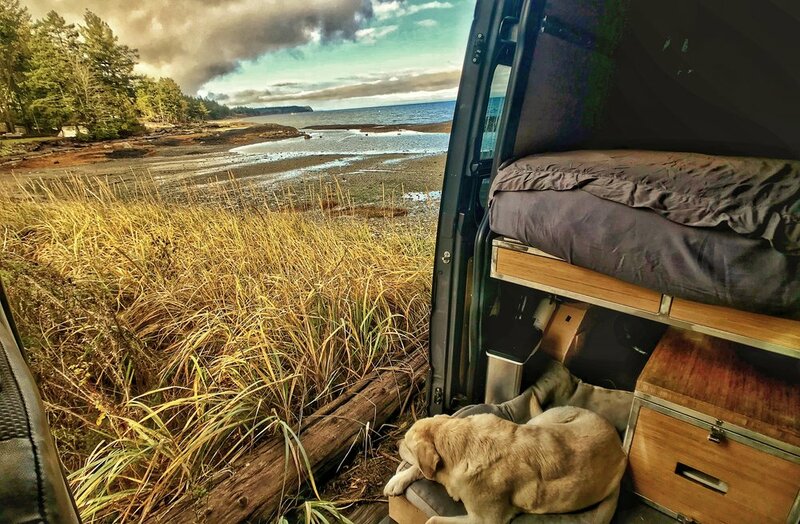 Allow the ZENVANZ team to help you get into your perfect adventurevan so you can focus on the journey. 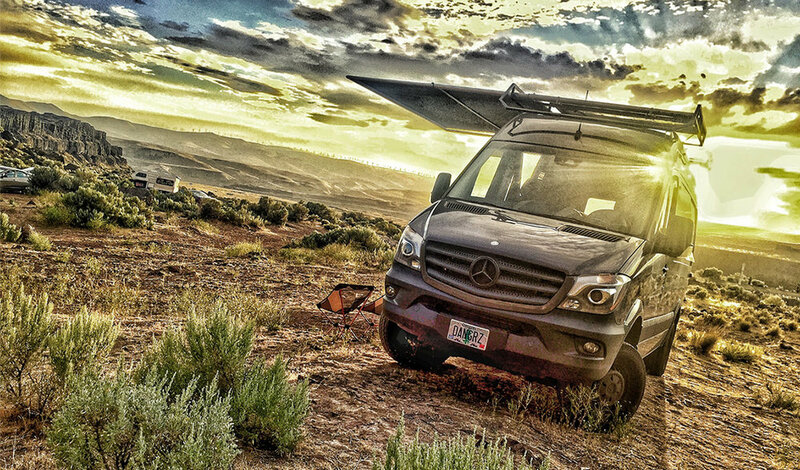 TIME TO DISCUSS YOUR DREAM ADVENTUREVAN?